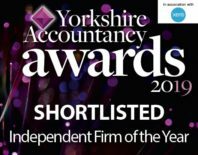 We are a firm of Chartered Accountants based in Wakefield West Yorkshire, offering a range of services including accountancy, registered audit, taxation and payroll to businesses, both large and small and individuals throughout Yorkshire and beyond. We offer expert advice but we also understand that each of our clients has different needs, which is why we go out of our way to listen to the specifics of each situation and tailor our solutions accordingly. Our experienced team is friendly, approachable and, above all else, trustworthy. We go the extra mile to ensure that you receive the best possible service. We know that discussing financial matters can seem daunting and complicated at times, so we’re careful to avoid jargon and have real conversations with our clients. After all, accountancy and financial services aren’t just about the figures. Number-crunching is part of it, of course, but clients bring us more than this: they explain problems, tell us stories and share ambitions. We listen and aim to help you get where you want to be. If you’re interested in becoming a client or finding out more about what we do and how we can help you and your business, please don’t hesitate to get in touch. For further information or to arrange an appointment with Harrison & Co Accountants Wakefield, please call 01924 270220.